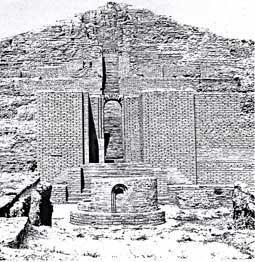 The Ziggurate of Choga Zambil. 13th century BC. The eastern most example of this typically Mesopotamian structure, the ziggurat at Choga Zambil dates from the 13th century BC, and was probably built by King Untash-Khuban. His capital city (ancient Dur Untashi, city of Untash) lay in western Iran, not far from Susa. This ziggurat is one of the best preserved examples; three of the original five staircases remain.